How Much Is Your Startup Worth? Home How Much Is Your Startup Worth? A startup, like any other asset, is worth as much as anyone is willing and able to pay for it. · Financial factors: is the acquisition of a company able to provide new sources of funds? Usually, M&A operations tend to be financed, from financial institutions to IPOs. Sometimes, a company on its own may have limited financial capabilities and a strategic acquisition may unblock substantial amounts of funds. 1. Operational: optimization of logistics, restructuring of personnel, concentration of offices, etc. 2. Commercial: companies always have comparative advantages. Imagine a company with a great commercial network that wants to acquire another company that has a product portfolio that is complimentary to that of the first one. An acquisition would make sense, as long as cannibalization is minimized, if the first company could generate more value from the portfolio of the second one with their own existing clients. It would also allow to better segment the market or eliminate competitors. 3. Lobbying: the increase in the total size is sometimes wanted since it offers access to a “higher league” level. You may reach key people that before were out of your reach. 4. Brand: sometimes, companies with deep pockets want to get a PR push. 5. Tax shield: companies that have accrued losses over the years will have tax benefits in case they are able to turn the red into black. That is very attractive as long as there are no corpses in the closet which are usually spotted after a proper due diligence. · Discounted Cash Flow (DCF): is the logical one. It evaluates a business like a flow of money in and out, adjusted to the present value by the discount rate. Example: you plan on opening a doughnut place. At first, you need to make an investment of 1 million Euros. You start operations from day one and generate a positive cashflow of 200.000€. A cashflow is the net sum of all payments, incoming or outgoing. Remember that an expense is not the same as a payment. An expense is an economic thing while a payment is a financial thing. When we talk about payments, we talk about finance. Considering one of the axioms of finance, which states that a Dollar today is worth more than a Dollar tomorrow (unless there is deflation), the 200.000€ will be worth less today, exactly 170k if you discounted at 15% (the discount rate is the interest rate you expect the investment to produce, and it is inversely correlated to the risk involved in the operation). You may add as many years as you want, but it is advisable to have a perpetuity value calculation instead of year 6 and so forth. A perpetuity is calculated dividing the previous yearly cash flow by the discount rate. And so forth. At the end, you will add the net present value of all future cashflows and that will be the startup valuation. If this figure based on your predictions is higher than the 1 million it costs, the investment will make sense for that investment at that discount rate. In the other hand, if the investor does not agree with an assumption from the business plan, he/she will have a different valuation in mind. Here’s where the negotiation begins. · Multiples: a company that already has some revenues can be valued multiplying a metric. That multiplier changes with the sector of activity, the growth rate, the total available market and specifically the risk perceived by the investor. — MRR: in companies with recurring revenue, specially the ones with a subscription model, are evaluated based on the Monthly Recurring Revenue. In SaaS, that multiple can be around 100. — ARR: same as above, but with Annual Recurring Revenue, which results from multiplying last months MRR by 12. In SaaS, that multiple can be from 8 to 12. However, I am only stating what some VC’s admit publicly, there have been operations far above these multiples. — Sales: some companies, specially those with more stagnant figures, can be valued at 5 times sales. However, this is a vanity metric since a company is not made to sell, but to make profits. The rest are NGOs. — EBITDA: is the net result from operations so it is pretty close to a cash flow if everything was paid at the moment the invoice was issued. That includes sales, COGS (Cost of Goods Sold), acquisitions expenses and fix costs, but exclude amortizations, activation of fixed assets such a development, interests and taxes. The EBITDA multiple is inversely correlated with the amount of CAPEX investment needed each year. It is only possible to apply on companies that already have a positive EBITDA, of course. The general multiple rarely steps out of the 5–15 range, having the average at about 7–8. I insist, it all depends on many other factors, I would personally never make an investment based on an EBITDA multiple outside of the stock market. — Formula: there is another complimentary metric, also more suitable for companies with recurring revenues. I also do not encourage anyone to use it since a company is always something more that a formula, but before entering a negotiation, you must know all possibilities to be able to discuss them properly. Value = (MRR * Gross Margin %) / Churn % . There are multiple ways of defining the churn, one way should be the average percentage of active users you lose in a month. The lower the churn, the higher the value. · Balance sheet: the purpose of accounting is to have financial statements that reflect the real value of a company. 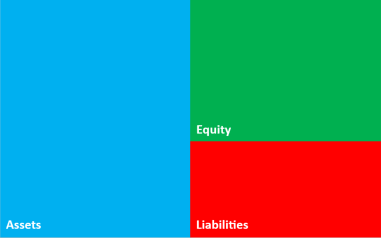 In a balance sheet there are assets on one side, everything the company owns (cash, receivables, inventories or fixed assets) and on the other side there are the liabilities, which is everything a company owes (payables, loans…) and the Equity, which is basically the difference. The Equity is the value that’s left for the shareholder. So the theoretical value of a company is the subtraction between what the company owns and what the company owes. However, in startups, this is a joke. The real value is never reflected because an increase in equity can only come from a direct investment or a higher profit. Profits and startups are an oxymoron, both because they tend to invest in the long term and because the recognition of earnings, and therefore the increase in Equity, goes hand in hand with Friday the 13th main character’s, Jason Taxes. 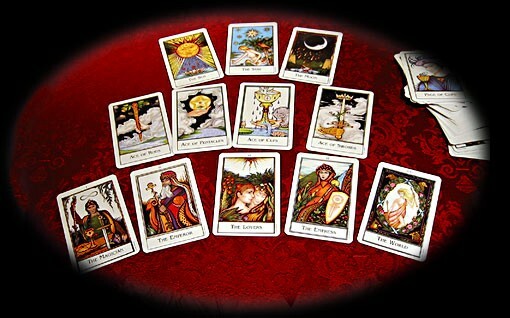 · Esoteric methods: sometimes, some celebrities raise money over a power point. I’ve heard some investors saying that the valuation is roughly 1M€ per founder, as long as they are rockstars. This type of situations may happen when an entrepreneur has a good track record or when, for any reason, there’s an oversupply of investors for a specific project. Should Elon Musk in the flesh approach you and ask for your money for a new venture he would lead, would you demand a business plan and a couple weeks to think it over? All that being said, remember that a valuation is always a subjective amount that is on someone’s head and that depends of other factors not mentioned above. Make sure you pitch well and give the valuation you are asking at a moment that is convenient for you. At the end of the day, the valuation you will get will depend a great deal in the show you put on and the trust you generate in the investor. So make sure you practice and learn with lots of investors and that you control the momentum. Also bare in mind that the hardest ticket to get is the first one. No one wants to be the first. If you can secure a reputable first investor, others will follow with less questions asked. What is your preferred method? Did I miss something important? Do you disagree in some of the statements? Feel free to discuss it. You are also welcome to suggest new topics we can cover.